Osmium is the heaviest metal, Osmium has a density of around 22 grams per cubic centimetre. I assume by "heaviest," you mean "densest;" in that case, the densest chemical element is osmium (which is a metal). Osmium has a density of around 22 grams per cubic centimeter, about twice the density of lead! Answer 3: The heaviest naturally occurring element is plutonium measured by the mass of the element. 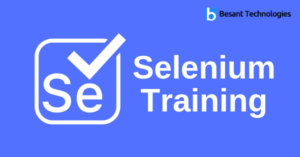 Learn Selenium Testing Course in Chennai from Industry Experts, 100% Job Oriented Selenium Training, Book your Selenium Training Classes in Chennai Now! What is the heaviest alkali metal? Osmium is the heaviest metal. The News Geeks (TNG) is a trendy news platform with UNCOMMON, UNCONVENTIONAL & DESIRED articles for today's youth. Our facts and news belong to a number of genres, including, entertainment, science & technology, trending, featured and lifestyle. Where is the heaviest rainfall? Osmium and iridium are the densest metals in the world, but relative atomic mass is another way to measure "weight." The heaviest metals in terms of relative atomic mass are plutonium and uranium. Infoskaters takes care of all your web solution needs comprehensively. We deliver top quality mobile apps & web solutions use of latest technologoies. Who was the heaviest wrestler?